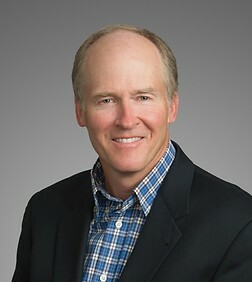 Doug Van Gessel is a partner in the Real Estate, Land Use and Environmental Practice Group in the firm's San Francisco office. Mr. Van Gessel represents clients in all aspects of commercial real estate, with principal focuses on (i) development and structuring of major projects, (ii) creative financial transactions, including construction, term and mezzanine debt, joint ventures and synthetic lease financing, (iii) acquisitions and dispositions, (iv) workouts and restructurings of real estate-secured loans and equity investments, (v) office, industrial and retail leasing and subleasing, and (vi) negotiation of architectural, construction, management and consulting agreements. Mr. Van Gessel is actively involved in pro bono and community service activities in the San Francisco Bay Area and writes and speaks on numerous real estate topics to various trade and bar organizations. Represented a Fortune 500 company in the development of a 15 million square foot campus facility, including the acquisition, financing, design and construction of the project. Represented a Fortune 100 company in the development of a 2.5 million square foot campus facility in Silicon Valley, including structuring of a sophisticated alternative financing strategy. Represented a prominent San Francisco developer in the purchase, entitlement and development of 181 Fremont Street, a highly visible office ad condominium project which will be the third tallest building in San Francisco and the tallest mixed use building in the Western United States. Represented a national developer in the purchase, permitting, financing and development of a 2,000 acre mixed use retail, hotel, and residential project in Dublin, California. Represented a national hotel developer in purchasing and repositioning a series of luxury hotels throughout the Western United States. Represented a prominent Silicon Valley developer in the purchase, entitlement, subleasing, financing and buildout of both a 2.1 million square foot and an 800,000 square foot office campus. Represented a prominent Silicon Valley developer in the purchase, entitlement and construction of a 1.9 million square foot corporate campus. Represented a prominent San Francisco developer in the redevelopment of an 800,000 square foot office campus. Represented a prominent Silicon Valley developer in the purchase, entitlement, subdivision, financing and build out of a 1.7 million square foot corporate campus. Represented a prominent Silicon Valley developer in the purchase, entitlement and construction of a 1.2 million square foot corporate campus. Represented a developer in the purchase, entitlement and financing of a 680,000 square foot corporate campus. Represented a large institutional developer in the purchase and redevelopment of a 600 room hotel in Southern California. Mr. Van Gessel has represented clients in the leasing of over 90 million square feet of office, retail and industrial space in 30 years' worth of transactions. Most recently, in the past three years he handled the following notable transactions. A lease of 815,000 square feet of office space to Apple, Inc.
Mr. Van Gessel has represented developers and users in the purchase, financing, design, construction, leasing and operation of data centers for over 20 years, including the following transactions. Mr. Van Gessel has represented four Fortune 100 companies in all of their design and construction contracts for more than 15 years. He also represents a large data warehouse REIT on all its nationwide design and construction contracts-more than 70 each year. He has represented clients on a wide variety of projects-from hotels and warehouses to shopping centers and even a rocket launching pad. A $700 million loan secured by a portfolio of branded hotels. Represented a large data storage company in the $415M synthetic leasing of an eleven building corporate office campus in Sunnyvale, California. Represented a large software company in the $174M synthetic leasing of its four building corporate headquarters in Santa Clara, California. Represented a biotechnology company in the $120 synthetic leasing of its headquarters and laboratory space in South San Francisco, California. Mr. Van Gessel has represented many non-profit organizations, including AIDS and homeless shelters, artistic and educational organizations, churches, theatres, coffee houses training disadvantaged individuals in retail skills and community outreach programs. He was a member of the St. Mark's School (San Rafael, CA) building committee for many years, a legal advisor to Marin Academy for the expansion of its campus, and a vestry member and co-chair of the building committee for Saint John's Episcopal Church (Ross, CA) from 2002 through 2004 and again from 2017-2020, where he currently serves as Senior Warden. He also volunteers his time to the St. Vincent de Paul Society, Compass Family Services, Smart Learning Program, 1951 Coffee Company and REST Emergency Shelter Program. He is also currently a member of the Board of Trustees of the San Rafael Public Library. The author discusses potential loan workout objectives, strategies and structures from a borrower’s perspective.